This is an example of body positive art that PumpUp member @midge623 found at her local gym. 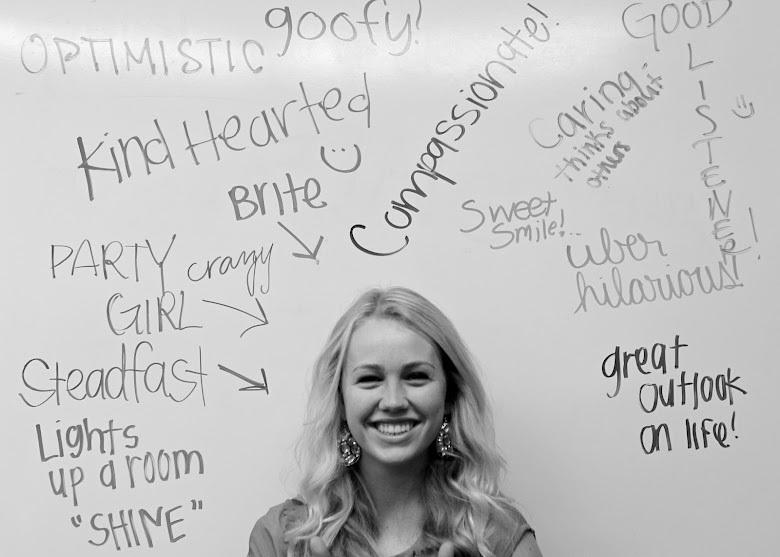 It's a wall dedicated to sharing positive thoughts, quotes, and messages about body image. 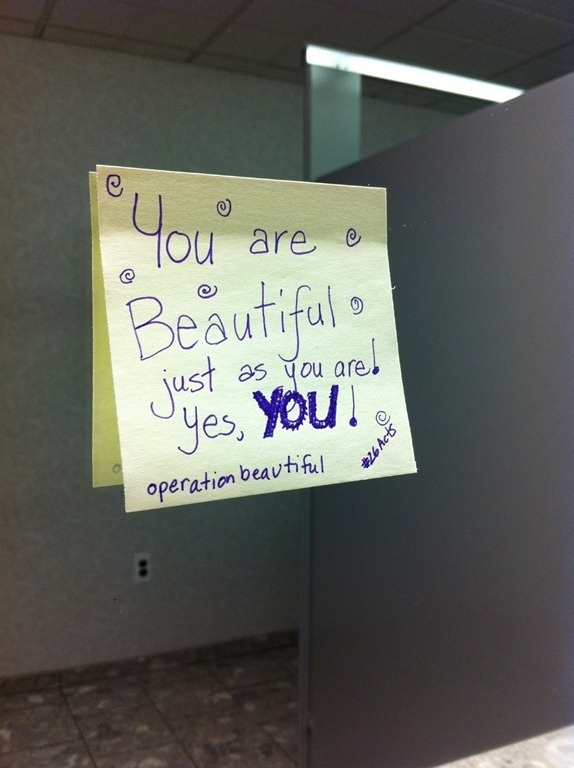 This body positive sticky note from Operation Beautiful was placed on various mirrors of public restrooms to remind visitors about how beautiful they are. In this project, participants were asked to sit in front of a white-board while others were asked to write positive qualities about the seated person. Each participant was not allowed to look at what was being written until the photograph was taken. 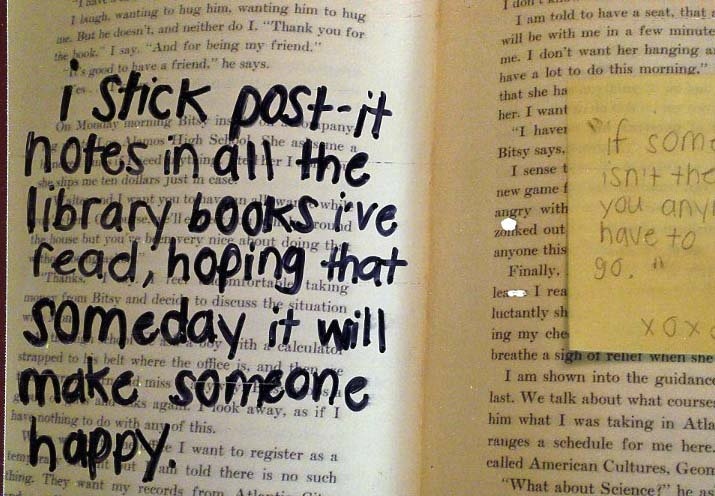 This person shares encouraging post-it notes between the pages of library books that they've returned. Artist Augustina Woodgate 'poetry bombs' thrift stores by sewing poems into articles of clothing. The same can (theoretically) be done for body positive quotes. Inspired by these ideas? Share your favourite ways to motivate others on #MotivationMonday with the PumpUp Community!